Canopy by Hilton has arrived in Reykjavik bringing a dare-we-say ‘hipster’ hangout for those in search of bold colour, a buzzing bar, stylish décor and pure vibes. Whether you’re climbing volcanoes, whale watching, quad biking or traversing the tundra by day; or gazing up at the swirling, clashing Northern Lights and scuba diving between tectonic plates at night, Canopy is the perfect place to fill the gaps. 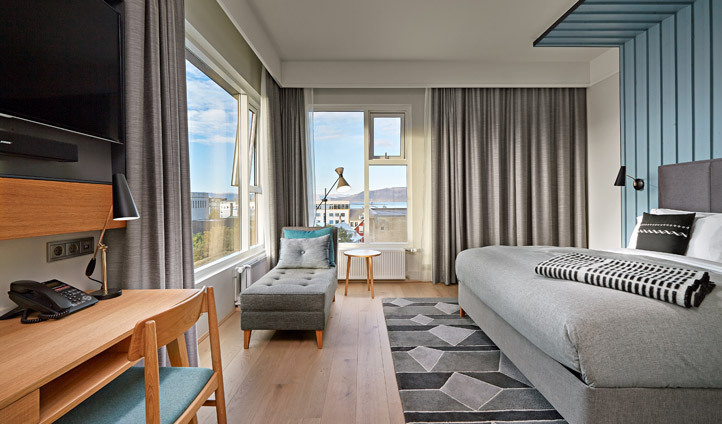 Set across six town houses in the prime location of central Reykjavik, Canopy by Hilton is a beacon of vibrancy within a buzzing neighbourhood culture. Located a mere stone’s throw from all of the best art galleries, restaurants, bars and cultural delights in town, you couldn’t be better placed to access both Reykjavik’s wonders and the adventures on the south of the island. Whatever your daily pleasure, retire to trendy luxury at the end of it. The minimalist Scandinavian interior design with either ‘volcanic rock’ or ‘ocean’ wall shades are brilliantly punctuated with lively furniture and breath taking views out of each of the tall cascading windows. Canopy provides a modern day, upbeat take on luxury. Wooden floors and tall bed-frames scattered with contemporary chic patterns, not to mention the sink-in sofas, will make you feel right at home as you relax. 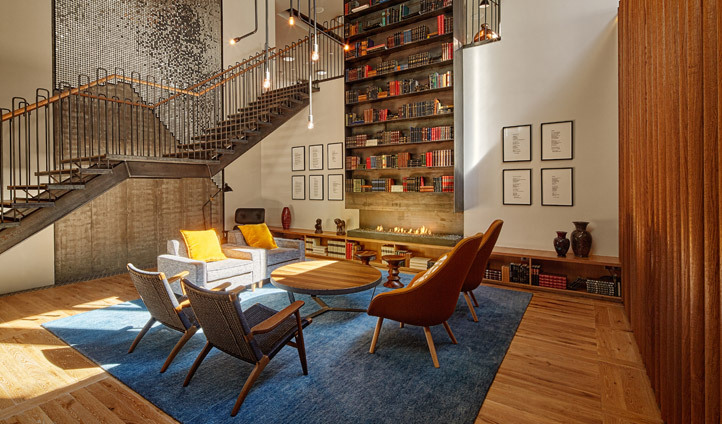 Reykjavik’s answer to Soho House gets our vote, naturally. Whether you want a casual chat with a cold drink in hand at the friendly bar, a cycle round town on one of the free Canopy bicycles, a chic bolthole to unwind or a base at the heart of the action we think Canopy provides the perfect atmosphere. It’s not just like a great place to rest, it’s a great place to hang out.